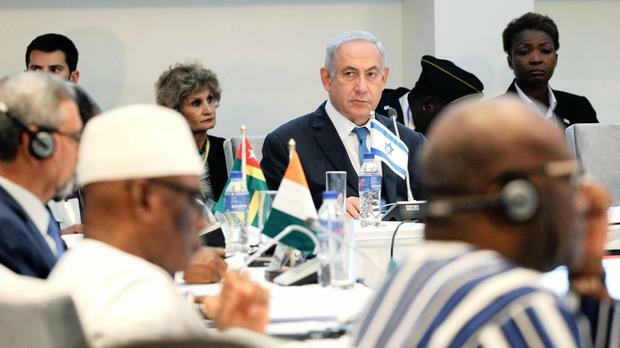 Israel’s foreign ministry director-general has played down cancellation of the Togo Africa-Israel summit arguing that Israel has proved that it is making headway into the African continent as he points at Arab pressure behind the event scrapping. Togo this week informed Israel that it was postponing sine-die the October 23-27 event for “elaborate preparations”. Yuval Rotem told Times of Israel that pressure from Arab countries on the Togolese President to cancel the summit was a clear sign that Israel is on a good track on the African continent. His comments followed confidence expressed by Prime Minister Benjamin Netanyahu last month that pro-Palestinian efforts were being made to oppose holding of the event. “This is not taking place without contrary pressure,” Netanyahu told his cabinet ministers, referring to the summit. Rotem also noted that Israel will soon start looking for another country to host the event. “We need to build a better coalition to allow all the players that support Israel a little bit of boldness for this process. And I think we’re doing not badly,” Rotem told Times of Israel. Fourteen African heads of the state had signed up for the cancelled summit. Written by: Peter Mulvany on September 14, 2017. Posted by Peter Mulvany on Sep 14 2017. Filed under Headlines, World News. You can follow any responses to this entry through the RSS 2.0. Both comments and pings are currently closed.